We are THE Control Systems Specialists in the Illinois Valley! Let our experienced and creative team design, build, and implement the custom control system solution you've been looking for. With results designed specifically to meet your unique needs and requirements, we can handle any phase of the project from start to finish. From the heart of north central Illinois, we have been providing our services to to a wide variety municipal and industrial customers for many years. How can Complete Integration & Services help you? We are looking forward to hearing from you! You can reach us at 815.220.0700, fax at 815.220.0616, or e-mail at sales@ciandservice.com. "Contact Us" has all our contact information in one place. Easiest of all, just click here to answer a few questions and we'll contact you right away. If you are not familiar with our company and this is your first contact with us, let us introduce ourselves! In brief, you should know the following about us: our company was established in July 2008, bringing together the best personnel of Special Products division of Complete Industrial Enterprises under a new name, harnessing over 100+ years of combined industrial and municipal control system experience. 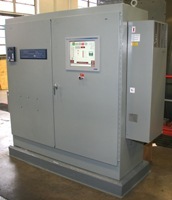 Special Products provided a full range of control system services from 1963 through 2008. We are here to continue and expand upon that fine tradition with quality products and services. The name and location may be new, but the team is not. Together, we have been responsible for providing outstanding control system design, fabrication, and service for the last quarter of a century. Experience is the key to success! To highlight our experience and considerable acquired knowledge in control systems, we are putting together case studies on each of our past and present projects. Please take a moment and click here to browse through them.